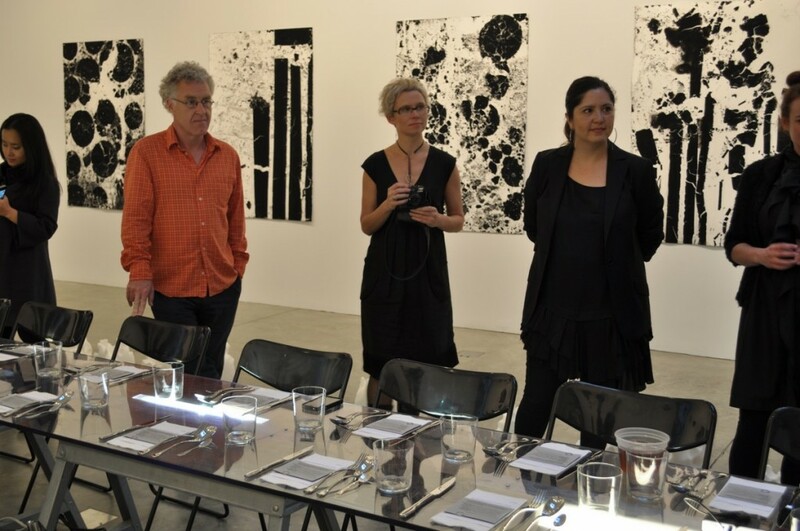 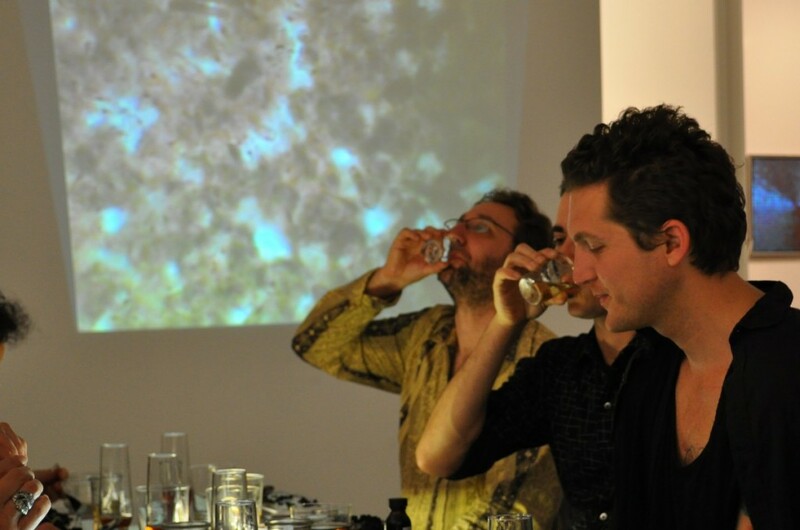 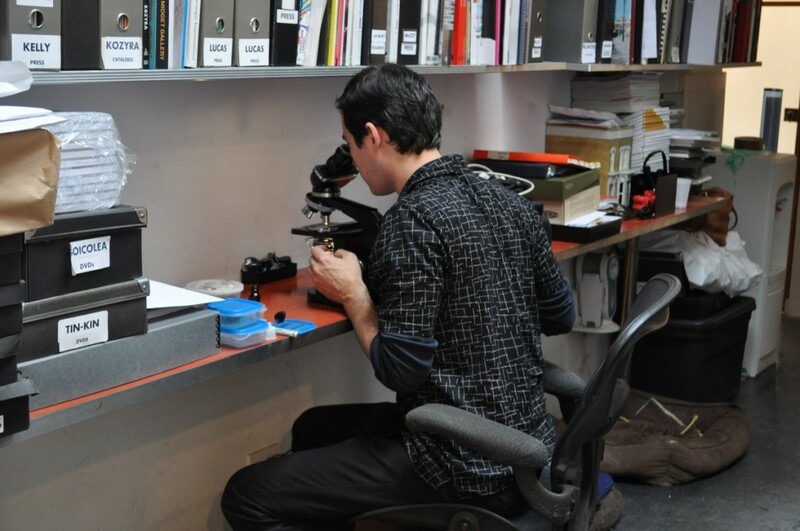 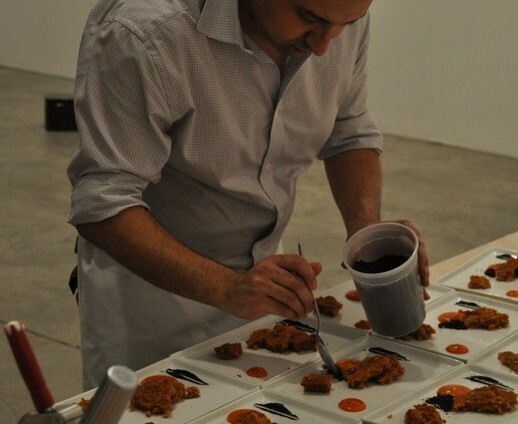 A collaboration between artist-scientist Natalie Jeremijenko and gastronomist, Mihir Desai, The Cross[X]Species Adventure Club ‘In the Black’ dining event was staged at Postmasters Gallery in New York City. 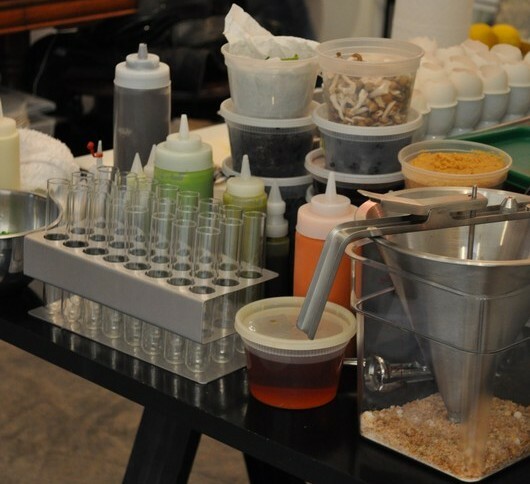 While artists-in-residences at Natalie’s Environmental Health Clinic, Scale Free Network was invited to participate by visualising some of the ingredients in the dishes on a micro-level. 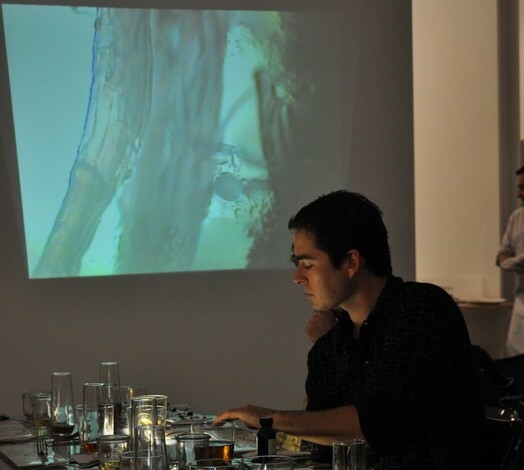 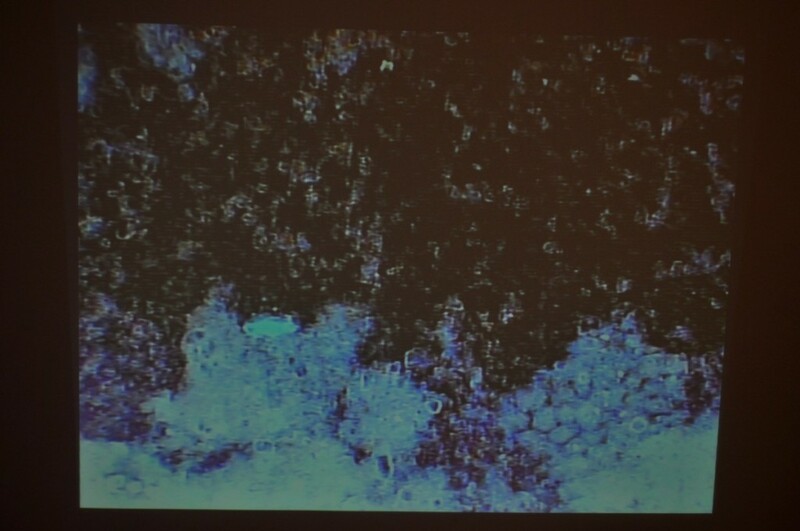 We projected our close observations of foods such as sesame oil and marshmallow on the wall of the gallery, visible to the adventurous Cross-Species dinner guests as they ate and drank their macro-versions. 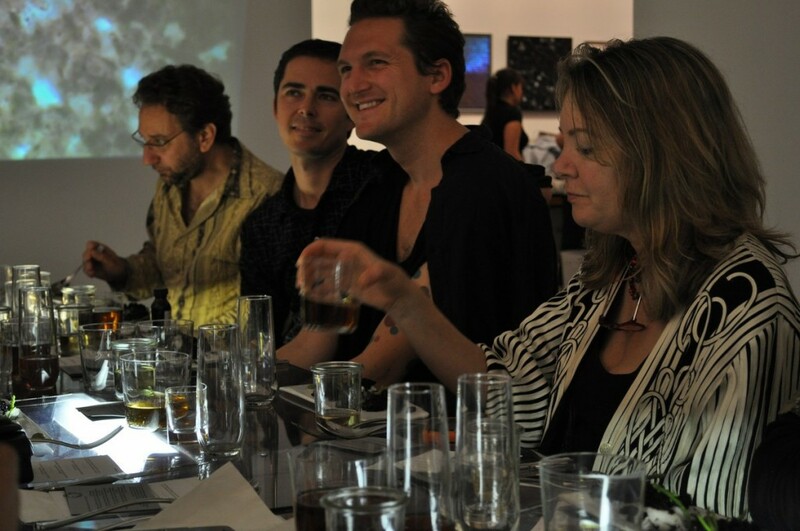 An experience of the depth and complexity of our interconnections with nonhumans, exploring the web that traces our gastronomical, economic and material interdependency with butterflies, worms, geese, bats and other intelligent and delicious creatures, this supper club will present multiple courses of foods, delicious and nutritious to both humans and nonhumans, expertly paired with delectable cocktails. 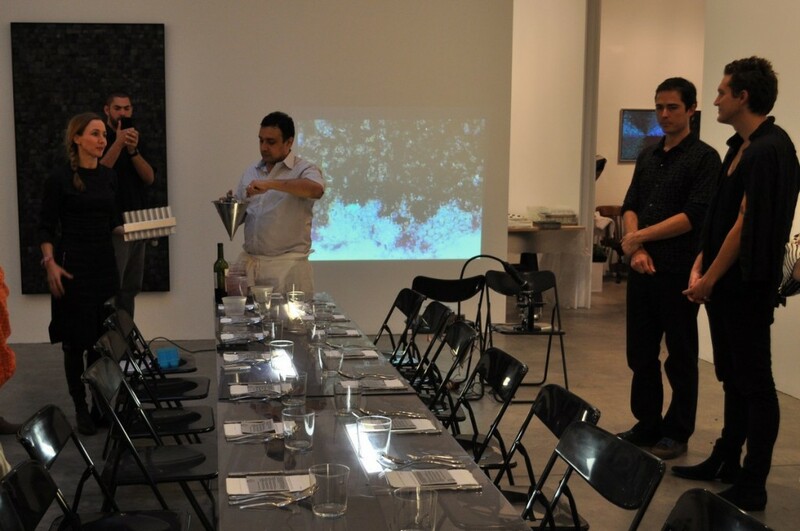 This on-going lifestyle experiment is presented by Natalie Jeremijenko, Mihir Desai, Emilie Baltz and other intelligent creatures to redesign your relationship to other organisms.